The island of Hispaniola became a springboard for Spanish conquest of the Caribbean and the American mainland. In 1697, Spain recognized French dominion over the western third of the island, which in 1804 became Haiti. 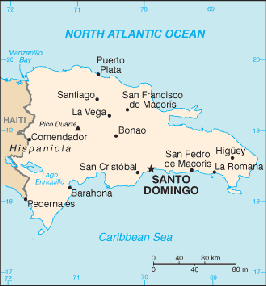 The remainder of the island, by then known as Santo Domingo, became the Dominican Republic in 1844. The country is large by Caribbean standards, with a population approaching 9 million. The topography is generally rugged and mountainous, dominated by four parallel mountain ranges extending in a northwesterly direction. Most of its eastern region is characterised by steep valleys and lowland plains. The Dominican Republic has two rainy seasons, one in the late spring and one in the fall, with the heaviest precipitation in the northern and eastern parts of the country. There are three major metropolitan areas. Santo Domingo, on the southern coast, is the capital. On the northern coast is Puerto Plata, one of the country’s main tourist resorts. Santiago, located in the central highlands, is the country’s leading industrial centres. Sosua, near Puerto Plata, and La Romana and Punta Cana, at the eastern end of the island, all have growing resort populations. The Dominican Republic has a strong tradition of arts, crafts and music, and there is even a National Theatre in Santa Domingo. Information and photograph courtesy of the Dominican Republic Ministry of Tourism and DominicanRepublic.com. 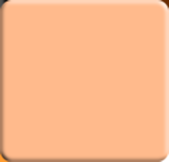 For more detail on the country, these are great places to start. by Columbus on his first voyage back in 1492. A large country, with lots to offer the visitor in all price ranges.